Who Do I Call to Help Find a Missing Person? One of the most stressful experiences of a lifetime can be looking for a missing person. It is important to recruit as much help as you can from experts you can trust. We will discuss several factors to consider as you try to find the best people for the job. It may seem obvious, but the first item on the list is to make sure that you enlist the help of someone that has experience. Be confident they have worked previously to find missing persons, and done so successfully, so that you can trust they will help you with your present situation. If you are hiring a new company, then also make sure that you hire services alongside them so that you can make the most of the situation. How Successful is Their Track Record? It is also important to investigate the track record of the success and/or failures they have had in finding missing persons in the past. If you are contracting with a private investigator that has no history of ever accomplishing their goal in this field, perhaps you should re-think your choice. When an individual is missing you want to make sure you are using the best investigator for the job. The thing to remember is that each company and private investigator might have different strengths and weaknesses. For example, if you are seeking a child, you will want to find people who have found lost children in the past. How is the Payment Structured? It may seem like one of the least important items at the time, but learning how much it costs to find missing persons can be important depending on your financial situation. You want to be sure that you are not going to be caught off guard with a large invoice that bears high interest. Take the time to look at how the company has handled late payments if you are worried about it, or ask them directly. The bottom line is that you are going to want to find the best help that you can possibly find for your missing person issue. You want to be able to find the person as fast as possible. This is a good reason to find the ideal help, but you can’t waste time. 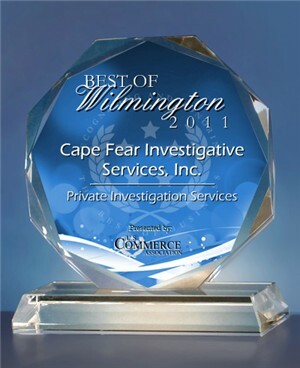 Cape Fear Investigative Services, Inc. has experience and success. Give us a call at (910) 762-4374 so we can help you as soon as possible. Posted in Crime, Investigation Services | Comments Off on Who Do I Call to Help Find a Missing Person? What Are Corporate Background Investigations and are They Worthwhile? If you are a person responsible for the operation of a company and want to ensure that you enlist and hire individuals you can trust and rely on, it is a great idea to find an investigator to conduct a background investigation. The information provided may aid in maintaining the integrity of your company and also provide security and safety for the current and/or future employees. This has proven to be a useful tool and provides some history of potential employees. If you are committed to excellence and obtaining the best for your company, it can be important to seek the background information for every individual that you recruit and/or potentially hire. In and effort to protect your company, it is always wise to conduct a criminal background investigation to avoid items that may be overlooked by some of the more traditional background investigations. Call the experts and take advantage of their many years of experience. CFIS, Inc. and it’s staff, possess the knowledge and skills it takes to uncover and expose information as well as provide security for all of the details that matter most to you in your particular business. You may think that some folks are just paranoid and that is why they seem to care so much about corporate background investigations. However, all it takes is one negative incident to occur before you realize that all that extra concern is worthwhile. Never underestimate the abilities of some individuals to attempt to cover up their past. Get informed, be certain that the individual you are considering is the right person to hire. Too many people get away with too much before their previous improprieties are discovered. If you want to catch someone in their tracks before it is too late, it will be wise to call the experts as soon as you can. It is much more expensive to hire someone only to find out later that you shouldn’t have. In lieu of enduring the dreadful circumstances of the unexpected discovery of a potential employee’s past issues, get the corporate background check before you commit to the hiring of the individual. The thing to remember here is that spending a small amount of money now can save you a lot of problems later on. You can make sure that each employee is as trustworthy as they appear, and that your company will be in safe standing for years to come. This should be kept in mind before you start filling a lot of empty positions without conducting background investigations. Call the experts at Cape Fear Investigative Services, Inc. at (910) 762-4374 before there is a problem. Posted in Investigation Services | Comments Off on What Are Corporate Background Investigations and are They Worthwhile? If you are trying to find a private investigator in the areas around Wilmington and Jacksonville, NC, you will see that there are many choices. One of the things that you will want to do is to make sure that you are getting the very best investigator that you can find. Here are tips for hiring a private investigator. Every private investigator has their own story. Some worked as detectives for years, others were police officers or had different jobs. You want to find someone that has the right type of experience for your particular job. If you are trying to figure out if your child is doing drugs, you may want the person who used to be a narcotics officer or someone that used to be involved in that field in a different way. Remember that the more experience someone has, the higher their chance of success. This is a great thing to remember so that you can find the best private person to investigate your affairs. At Cape Fear Investigative, we have staff with a wide range of backgrounds, so we can use the right person for your job. Depending on the reason for which you are hiring a private investigator, you may be spending a good bit of time talking to them. You are going to want to be sure that they are someone with whom who you can communicate easily and effectively. Not every single person is able to talk comfortably with every other person, as each of us have our own communication styles. Do yourself a favor and schedule an appointment with Cape Fear Investigative to discuss your particular case. We know that if you’re coming to us, it may not be an easy thing to talk about, but we are experienced and personable, and we want to help. 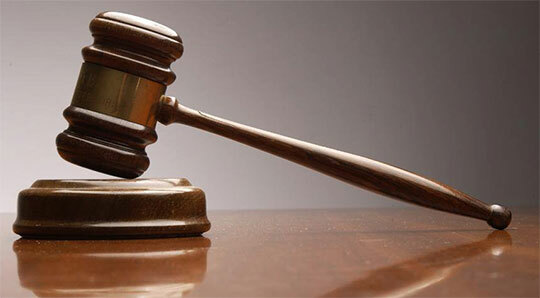 Once you find the private investigator that is best for you, the situation can get to be much easier. You can find all of the answers in an easy and effective way because you did the work of finding the right person or group to work with. The important thing is to remember that every situation is important, and the people at Cape Fear Investigative know this. That is why you can find detailed information about each of the services we provide on our website, http://capefearinvestigative.com. This can make it easier for you to make the right choice about hiring us for your investigative project. Give us a call at (910) 762-4374.